After years of organizing supporters around the country, Rails-to-Trails Conservancy (RTC) is excited to announce that on Tuesday, March 2, 2010, U.S. Rep. Earl Blumenauer (Ore.) introduced H.R. 4722, the “Active Community Transportation Act of 2010” (ACT Act), on the floor of the House of Representatives! The ACT Act is the direct result of Rails-to-Trails Conservancy’s (RTC) Campaign for Active Transportation. The Act would create a $2 billion program to fund dozens of communities around the country to improve their trail, walking and biking networks. If this bill is enacted, communities around the country will receive the resources to better allow Americans to walk and bike to the places you live, work, play, shop and learn. Please encourage your representative to co-sponsor this very important legislation by filling in this petition. If your representative is one of the above seven individuals, instead of taking action below, please send a note thanking your representative for already supporting this legislation, and encourage him to continue pushing his colleagues for more support. Don’t know who your representative is? Use the zip-code tool in the upper-left corner of www.house.gov—it’s easy! The annual Outdoor Recreation Participation Report looks at year-over-year trends in various outdoor sports, based on the percentage of the population who participate in outdoor recreation in some form. Released earlier this year by the Outdoor Industry Foundation, the report shows a 10.2% increase in mountain biking from 2007 to 2008. Nationwide, the study reports 7,592,000 people who rode a mountain bike. American’s most frequent outdoor activities were running (trail and pavement) with cycling (road, mountain and BMX) coming in second. More people participated in outdoor activities than team sports. 15% of Americans rode a bike while 9% played basketball, 7% played football, 6% played soccer. A disturbing downward trend in outdoor activity participation was seen among the youth over the past three years. In 2006 78% of 6 – 12 year-old children did some outdoor activity, but in 2008 only 64% did so. The 13 – 17 year-old group went from 69% participation in 2006 to 61% in 2008. The biggest drop was seen in girls aged 6 – 12, a 19% drop in participation over three years. However, cycling (including road, bmx and mountain) remained both the “most popular” and “favorite” outdoor activity of the young. Despite the overall decline in outdoor activity participation, mountain biking among the 6 to 17 year-old age group grew by 17.4% over 2007 numbers, with over two million participants in 2008. In the 18 to 24 year-old group mountain biking was down 23.8%. The biggest reason given was a “lack of time.” Adult participation in outdoor activities grew from 48% to 53% in the 25 to 44 year-old group, and from 37% to 38% in those over 45 years of age. Mountain biking is becoming more and more popular. These numbers underscore the need for us continue working towards opening new trails for this growing user group, and to take care of the trails we already have. We must also continue to get more youth involved in mountain biking, and support those who already do. This study was based on a sampling of over 40,000 households. The complete report is available from the Outdoor Industry Association Foundation. The National Interscholastic Cycling Association (NICA) and the International Mountain Bicycling Association (IMBA) have recently signed a partnership agreement which states that IMBA and NICA will work together to cross-promote their efforts and engage the broad cycling community. “The success of the Northern and Southern California High School Mountain Bike Leagues has been truly remarkable,” said IMBA executive director Mike Van Abel. “When I learned about the plan to replicate those successes on a national scale under the NICA banner, I hoped IMBA’s club network might become a useful resource,” he added, also noting that the partnership would help expand IMBA’s demographic diversity and compliment existing youth programs such as National Take a Kid Mountain Biking Day. The National Interscholastic Cycling Association (NICA) is the National Governing Body for grades 9-12 interscholastic mountain biking. NICA was established 2009 with the support of founding national sponsor, Specialized Bicycle Components, as well as the generous support of the founding sponsor of the SoCal League, Easton Sports Development Foundation II. The aim of NICA is to foster the development of high quality competitive cross-country mountain biking programming for High School aged athletes. NICA provides leadership, governance and program support to promote the development of interscholastic Mountain Biking Leagues throughout the United States. The International Mountain Bicycling Association (IMBA) is a non-profit educational association whose mission is to create, enhance and preserve great trail experiences for mountain bikers worldwide. Since 1988, IMBA has been bringing out the best in mountain biking by encouraging low-impact riding, volunteer trailwork participation, and cooperation among different trail user groups, grassroots advocacy and innovative trail management solutions. A very large number of products that contain peanut butter manufactured by the Peanut Corporation of America have been recalled because of salmonella contamination. Among them are some of our favorite energy bars. Check the list of recalled energy bars. If you have any that are on the list, return them to the place you purchased them. Do not eat them under any circumstances! The Assembly Committee on Natural Resources recently passed a bill — authored by Assembly member Noreen Evans (D-Santa Rosa), Chair of the Assembly Democratic Caucus — that directs the state to assess the suitability of numerous state lands in Northern California for Wilderness designations. Bicyclists value natural landscapes and access to trails that bring us closer to nature. Because our activity is a quiet, low-impact and human-powered use that is compatible with wild settings, we believe many of these Northern California areas should not be protected with Wilderness designations, which would effectively prohibit bike access. IMBA California Policy Advisor Tom Ward has testified in front of the committee and many members expressed their support for mountain biking — but they still passed the bill out of committee. Unless they hear from the mountain bike community, the bill will keep moving and suggest massive closures at three important parks. There are many ways to protect these important places without banning the existing use of mountain bicycling. Cyclists need to rally and make sure their assembly member hears from our constituency. IMBA’s simple online comment form takes seconds to complete! Tell the governor and your state senator and representative you support land protection that allows bicycling to continue. A quick phone call can be even more effective. Click here to find contact information for your elected officials. Please also forward this alert to all mountain bikers, bike shops and industry employees you know. Sponsored by the California Wilderness Coalition, the bill directs the Resources Agency and the State Lands Commission to assess whether selected state lands merit wilderness designation. Mountain biking is an existing use in several of these areas, including Robert Louis Stevenson State Park and Henry W. Coe State Park. Mountain bikers also have a long-standing proposal to create shared-use trails in Austin Creek Redwoods State Park. Because Wilderness designations would prohibit bike access in these parks, we urge that these areas should be protected through other means. IMBA California’s Tom Ward is meeting with key Senate staffers and will keep the pressure up to ensure that mountain bike access is protected. 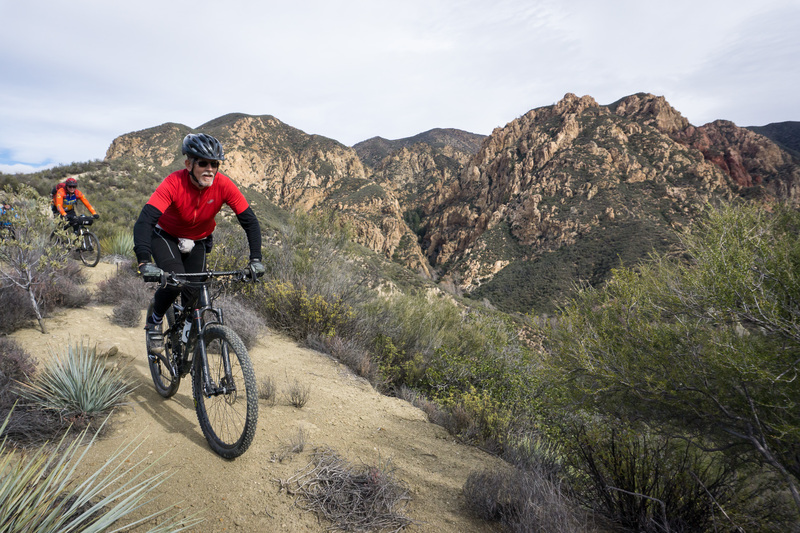 IRVINE, Calif. — Enjoying the outdoors is as natural as riding a bike and Shimano American Corporation and the International Mountain Bicycling Association (IMBA) have teamed up to promote how important the activity is. Shimano is a major manufacturer of bicycle components and IMBA is a national advocate for responsible riding and trail construction. Together they are releasing the new document, The Economics and Benefits of Mountain Biking at the National Bike Summit in Washington D.C. March 4 – 6, 2008. More than 1 in 5 Americans age 16 and over ride a mountain bike, and contribute $26 billion annually to the American economy while enjoying the sport. Kozo Shimano said, “We want legislators, policy makers and the public to understand how significant mountain biking is to both the economy and to keeping people healthy.” One recent cost benefit analysis concluded that every dollar invested in trails led to almost three dollars in direct medical benefit. The World Health Organization recommends riding a bike to reduce the risk of cardiovascular disease. Scientific research has shown mountain biking to be a low impact environmentally sustainable activity with no more impact on natural resources than hiking, and far less than many other recreational activities. Copies of The Economics and Benefits of Mountain Biking can be obtained from IMBA by sending a request to info@imba.com. The National Park Service hosted a Listening Session at the Museum of Natural History in Los Angeles. With the Centennial of the National Park Service approaching in 2016, the agency hosted Listening Sessions nationwide to hear from the public to help craft a vision for the next century. NPS Superintendents from all over the Western United States including the Western Regional Director, Jon Jarvis, and many NPS rangers and managers were in attendance to facilitate discussions and take public input back to be compiled and presented to the White House as part of the Centennial Initiative, a ten-year plan to invigorate national parks and prepare for the next century. The Centennial Initiative provides $100 million per year to the NPS above and beyond the annual budget for investment into the National Park system. There is also a provision of up to $200 million per year additional funding, whereby the federal government will match philanthropic donations of up to $100 million to the NPS for signature projects. 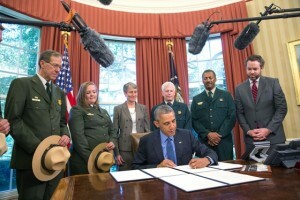 Three main questions were asked by the NPS including: what are your hopes and expectations for the future of National Parks; what role should the National Parks play in the lives of Americans and visitors from around the world; and what projects and programs would you like to see completed. Despite these questions, a handful of anti-mountain bikers were in attendance suggesting that mountain bikes not be a part of the future of our National Parks. Fortunately, CORBA board members Jeff, Louisa and Gary were there to add balance to the discussion, provide input and also note how successful multi-use trails are in our local National Parks (i.e., Cheeseboro) as well as the amazing experiences that are available at parks such as Joshua Tree and Chaco Canyon. We also shared our vision for a National Parks system with more opportunities for responsible mountain bicyclists. Bikes get people out of their cars and into the parks. Mountain biking is a sustainable, low-impact, human-scale form of recreation that is healthy for individuals, families and communities. We know from our experience in the Santa Monica’s and other National Parks that bikes belong. We thank the National Park Service for hosting the Listening Sessions. Currently mountain bike advocacy is facing one of the the most important long-term issues in our history. The issue is whether mountain bikes should be allowed on trails in Wilderness areas. How mountain bikers and advocacy leaders respond to this can either be polarizing or make us an even stronger voice in the trail user and land stewardship community. In Idaho Montana, the Wood River Bicycle Coalition, an IMBA chapter, worked with IMBA to build support for a National Monument rather than a Wilderness area. Over a period of several years, negotiations with wilderness advocates, motorized and other recreation groups and elected officials formed a broad coalition of support. However, raw ugly politics ultimately produced a Congressional designation for the Boulder White Clouds Wilderness. This was a painful and well-publicized loss to the mountain biking community. The land protection provisions they had negotiated in good faith to produce a bicycle-friendly National Monument designation were ultimately lost to a crass political maneuver to deny President Obama any semblance of a success. Congress passed a Wilderness bill and the Castle Divide and Ant’s Basin trails were closed to bikes. Meanwhile, attorney Ted Stroll had been continuing his research into the Wilderness Act, and the congressional debates and intent surrounding that landmark legislation as it was enacted in 1964. He had concluded that the original intent was never to exclude bicycles, as a human-powered form of low-impact recreation, from Wilderness areas. Further research led him to believe that, in accordance with our constitution, we have the right to bring our grievances to the U.S. government. To do this, he formed the Sustainable Trails Coalition (STC), whose sole mission is to pass legislation that would allow local land managers to open trails to bicycles in Wilderness, and to authorize the use of machinery that would allow the most cost-effective and efficient maintenance on Wilderness trails, on a case-by-case, trail-by-trail basis. The timing of the Idaho defeat brought heightened attention to the STC and their focused, single-issue mission. It cast doubt in the mountain biking community about the effectiveness of IMBA’s approach of building broad partnerships and seeking compromises to both protect bicycle access, while protecting the landscapes through which we ride bikes with a mix of Wilderness boundary adjustments, cherry-stems, and alternative designations. This approach has been highly successful in many instances, but there have been some exceptions, with this loss in Idaho being the most recent and the most publicized. Condor Peak Trail – Wilderness advocates are still proposing a Condor Peak Wilderness. 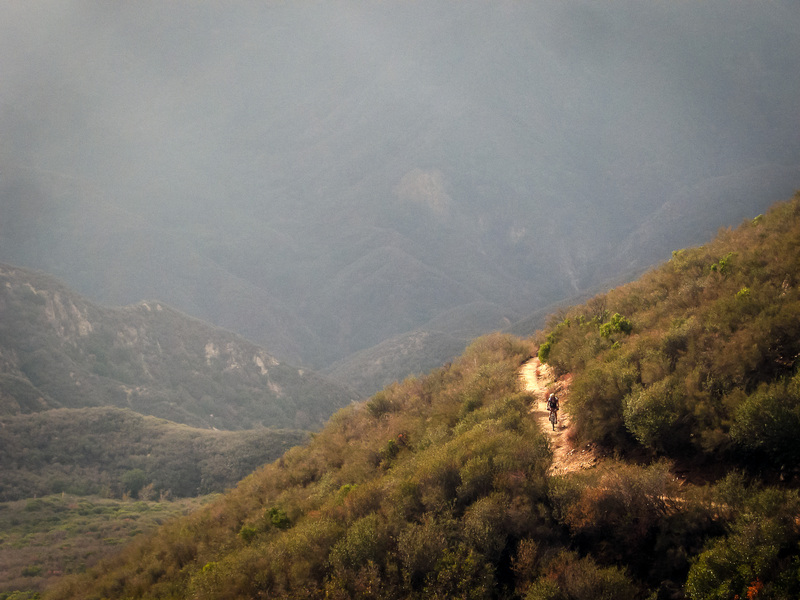 Here in the Angeles National Forest, we’ve lost access to much of the backcountry trail network on our Forest. This has placed increased use pressure on non-Wilderness trails by all user groups. Trail maintenance on Wilderness trails has come to a near-halt in many areas, and all user groups are losing those trails to nature. We don’t have any bicycle-legal singletrack options to traverse the San Gabriel Mountains north-south, or east-west, because of numerous closed trails, Wilderness designations, and restrictions on bicycles on the Pacific Crest Trail. Similarly, in the Sierra, Inyo, and Sequoia National Forests there are vast swaths of Wilderness and a few isolated areas that are open to bikes, many of which are currently being evaluated for Wilderness (and, remarkably, the folks who maintain many Wilderness trails and can’t keep up with the workload have objected to any new Wilderness.). These Wilderness losses are very much a localized issue, affecting California and the Western States disproportionately to other areas. California has the most Wilderness areas of any state, and is second only to Alaska in Wilderness acres. Here in CORBA’s territory, we have the largest population base in the country near a National Forest. 1 in 20 Americans live within easy driving distance of the Angeles National Forest, with its five Wilderness areas and additional Recommended Wilderness taking nearly one third of the Forest. Recreational activities are greatly reduced in Wilderness areas compared to non-wilderness areas, even if bicycles are left out of the equation. Maintenance efforts are greatly reduced and near-impossible for the Forest Service to schedule, as the cost of manual labor to rebuild trails (no mechanized tools allowed, even wheelbarrows) means these trails often don’t get worked on. While the same can be said of many lesser-used non-wilderness trails, this doesn’t bode well for the future of Wilderness trail recreation. It also disproportionately affects a smaller subset of the mountain biking community who seek out, relish, and live for backcountry wilderness-type settings that can be experienced by bicycle. It’s why I started mountain biking, and what inspires me to continue exploring and experiencing these majestic landscapes. Sure, I love purpose-built flow trails, downhill trails, and our many favorite local trails. They are needed, but they don’t offer the same experience and escape that some of us live for. We need a broad spectrum of experiences and trail types to cover the many diverse reasons for which people ride mountain bikes, including wilderness-type experiences. There have been calls for IMBA to take a stronger stand on the Wilderness access issue in print media, the blogosphere, and on social media. In fact, if you have followed closely, the amount of grandstanding on both sides of the bikes in wilderness debate has escalated. From reading some of what has been published, one could easily come away with the assumption that mountain bikers have to pick a side: either support the Sustainable Trails Coalition or support IMBA. Over the past month there have been many calls, emails and forum posts asking to cancel IMBA memberships. Some writers in the print media have accused IMBA of taking a hardline stance against the STC, but there is much more nuance to their statements that has been overlooked. IMBA hasn’t condemned the STC or opposed their efforts. In fact, IMBA has for many months taken a neutral public policy position toward STC’s strategy, neither supporting nor opposing. Publicly, IMBA has simply stated that the STC approach is not appropriate for IMBA’s mission, given STC’s single focus, uphill battle, risks and uncertain future. Singletracks.com, an internet blog, found the vast majority of mountain bikers surveyed support bicycle access to wilderness. The Angry Singlespeeder gave his take on the issue, calling it the most pressing of our time, and followed it this year with an Open Letter to every IMBA member calling on us to demand IMBA to listen to its membership and take a more proactive stance towards the STC. 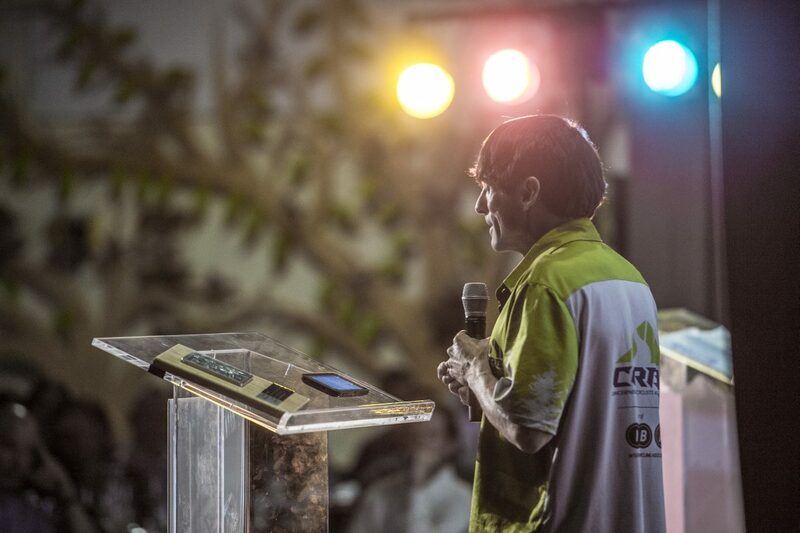 Former IMBA Board Member John Bliss explained why he joined the STC board, with some compelling arguments. Pressure continues to mount calling for IMBA to support the STC, or at the bare minimum, take a more conciliatory stance and acknowledge the common ground that exist between the two organizations. IMBA have held a press conference explaining their position, posted an FAQ on land protection strategies they will continue to utilize, and conducted four Chapter Leader Executive Briefings with question and answer sessions with approximately 100 chapter leaders nationwide, which I attended. Many forum comments have construed their public arguments and tone as denigrating and dismissive of the STC, but in direct conversations with IMBA staff, that tone is much more nuanced. With all this attention on Wilderness, one could be misled into thinking that this was the only issue facing mountain bikers. Admittedly, it is probably the most far-reaching issue that could fundamentally change our approach, as mountain bikers, to land protections nationwide, and especially in the Western states like California. But there are still plenty of more immediate issues and opportunities that need immediate, focussed attention, and that is where IMBA has chosen to put its limited resources and energy. We see this “us vs. them” dichotomy as far from the case. The fact that IMBA has chosen not to support STC does not infringe upon anyone’s first amendment right to speak up for and support the STC, including us as a chapter of IMBA. IMBA’s (and CORBA’s, for that matter) plate is full with current mountain biking issues, and the vast amount of attention and resources needed to achieve the STC’s mission and focus on Wilderness access would hinder our ability to tend to more immediate threats, identify new opportunities, take advantage of current opportunities, and just get things done now. We believe we need both organizations. STC’s single, focussed mission is to enact legislation that will allow management of wilderness trail access (and mechanized maintenance) to happen at the most local level feasible. STC is not a membership organization and as such is not structured for or able to do anything on the ground right now to open closed trails to bikes or develop and maintain positive relationships with land managers that are key to our future successes. It will be a difficult struggle and take some time before STC’s efforts may prove fruitful. IMBA chapters are currently doing the vast majority of advocacy and access work at the local levels. If STC is eventually successful in passing their legislation it will likely be IMBA chapters doing the necessary outreach and hands-on work to give the STC’s legislation teeth, by working directly with local land managers to open trails under the authority of STC’s Human Powered Wildlands Travel Management Act of 2016 (HPWTMA). Despite what has been claimed by the Wilderness Society and others opposed to bicycles in Wilderness, the STC bill doesn’t open ANY trails to bikes or mechanized maintenance. It allows the “most local” land managers feasible (likely district rangers and supervisors) to make those determinations on a case-by-case, trail-by-trail basis. That’s why IMBA chapters will need those strong relationships when and if the time comes. You can bet the opposition to bikes will only get louder when that happens, both locally and nationally. It will be IMBA chapters with current, strong land manager relations that will be best positioned to follow through on any STC success. Land managers aren’t just going to open trails to bikes in wilderness areas if the STC bill is eventually enacted. If the STC bill does go through–and let’s be clear that we hope it eventually will–IMBA Chapters will need to actively engage with local land managers to open trails to bikes under the newly granted authority of STC’s legislation. Even then, those trail openings will probably require a lengthy NEPA process, and may come with restrictions. Permits, capacity limits, mandatory leave-no-trace classes, or other hurdles could be put in place as a part of that Wilderness access. Passing of the HPWTMA is just the starting point to opening trails in Wilderness. In the meantime if people start choosing to drop support for IMBA chapters to support the STC, that will impede our ability to get things done now, such as bike parks, trail maintenance, new trails, and being a crucial voice in current land management and trail planning efforts. If CORBA/IMBA is weakened by an attrition of supporters now, it will hinder our ability in the future to build upon any STC success, and open trails currently closed to bikes by Wilderness designations. One of the best things that STC is doing is bringing more attention to this major access issue. What saddens and frustrates us is that social media are misinterpreting some of IMBA’s responses, and turning this into an “us vs. them” situation, which will weaken our efforts on both fronts. We’d much preferred to have a more conciliatory tone from IMBA towards STC, even in the absence of outright support. IMBA has alienated a portion of their members through their statements and firm stance. That just doesn’t need to be so. There is room–and a great need–for another group like STC to give the Wilderness issue the razor-sharp focus it will need to see through. IMBA is a 501c3 and cannot directly lobby our government to introduce new legislation, endorse political candidates, and other restrictions. IMBA (and CORBA) are set up as 501c3 public benefit corporations, that can only influence existing laws and policies through public comments, broad-based partnerships with other organizations, and encouraging our members to speak up with their own comments and letters to elected representatives and land managers. STC is set up as a 501c4, with the specific purpose of directly lobbying congress and our elected officials to enact change at the legislative level. They are able to do things that IMBA and CORBA cannot. It’s important to note that the Sierra Club is a 501c4, just like the STC. They have a companion 501c3, the Sierra Club Foundation, which collects tax-deductible donations that can then be used to support the lobbying efforts of their 501c4. They also operate under budgets 100 times larger than IMBA’s. Most mountain bikers are decidedly lackadaisical in their approach to advocacy–until their favorite trail is closed, or threatened to be closed. And as previously mentioned, while most mountain bikers support opening some trails in Wilderness to bicycles, the number of riders who may eventually utilize wilderness trails is likely much lower. The mountain biking community has never had a 501c4 organization to stand behind before the STC came along. Just as the Sierra club leverages both a 501c3 and a 501c4 for various, but related, purposes, the mountain biking community has needed both a 501c3 and a 501c4 voice. As mentioned, where we see things have gone awry is that IMBA’s firm but neutral stance has been twisted and construed in social media and the blog/print media as an “us vs. them” situation. IMBA’s approach is appropriate for IMBA. The STC approach is appropriate for STC. Together, they have brought more attention to this contentious debate, and hopefully helped engage a new cadre of concerned mountain bikers ready to advocate for continued access to trails–both inside and outside of Wilderness. Both organizations are advocating for increased trail access. They are just employing different strategies and tactics. Let me re-iterate that in the long run, if STC is successful, strong IMBA chapters will be best positioned to make the changes that STC’s bill will authorize. We’ll then need to leverage our ongoing track record of being good land and trail stewards, and work side-by-side with local land managers to open trails in Wilderness areas. We’ll need to work hard to usher those requests through the NEPA process, and deal with the opposition to bikes that will inevitably emerge. If our voice is weakened by a lack of support now, we’ll be in a more difficult position to ask for trails to be opened under the STC bill’s authority in the future. If STC is unsuccessful, IMBA chapters like CORBA will continue to work to make a difference, just as we have been doing for more than 29 years. We just hope to have the continued–and even increased– level of support we now get from our members. But things at IMBA have changed somewhat. Their 2016 advocacy position clearly states that they will continue to fight more aggressively to keep trails open in the face of Wilderness proposals, wherever there are local chapters available to do the local on-the-ground work needed. They have been emboldened to take a firmer stance than ever before to prevent trail closures, within the constraints they operate under as a 501c3. Wilderness and environmental advocates are finding it increasingly difficult to pass Wilderness legislation when advocacy groups like IMBA and its chapters are directly and strongly opposed. IMBA is also investigating the merits of a legal challenge to recent trail access losses in the Bitterroot National Forest in Idaho. They have expressed a desire to legislatively adjust existing Wilderness boundaries to open trails that have been closed to bikes (without any changes to the Wilderness Act itself). But their stance falls short of lobbying for sweeping change at the legislative level, which is precisely what STC is positioned to do. CORBA and IMBA have on a number of occasions asked for “language-based exemptions” to prohibitions on bikes on specific trails in new Wilderness proposals. We’ve usually been turned down on these requests as being “incompatible with the intent of the Wilderness Act” even though numerous language-based exemptions exist for purposes other than bicycle travel and recreation, and the STC’s contention that the “intent” of the Wilderness Act has been misinterpreted in current regulations. Yet what STC is proposing is making such language-based exemptions (or, more accurately, allowing Forest Service orders to authorize access) for bicycles and trail maintenance, an integral part of an amended Wilderness Act. Let’s not have this issue divide us, weaken us, and allow us to be conquered. Our members can support both STC and CORBA/IMBA, and both organizations will be stronger for it. While we applaud the STC for their approach, CORBA will continue to work on efforts that have immediate, near-term benefit to all mountain bikers and our public lands: trail maintenance, management plan advocacy, currently pending bills, land manager relations, education, and stewardship. We also hope that one day, CORBA will be in a position to ask our local land managers to open trails in current Wilderness areas to bikes, under the authority of STC’s legislation. But until then, we have to stay strong, stay united, and keep striving towards making immediate, short-term differences, happy in the knowledge that STC is working on a long-term strategy that most of our members agree would be a step in the right direction for all of us. 2015 NICA Award Recipients. Top row: Todd Wells, Hal Miller, Scott Armstrong, Austin McInerny, Jeremy Call, Kade Brantington, Hannah Heydinger, Robert Parks, Mark LaPaglia, and Mike Perry. Bottom Row: Lucas Euser, Liam Ruff, Steve Messer, Nash Dory, Preston Bagley-Gurtner, Esmée DeBarssi, Zoë Mae Dunn, Kathy Parks, Robert Kertesz, Gary Fisher and Lauren Duensing. Photo credit: Karl Nielsen. 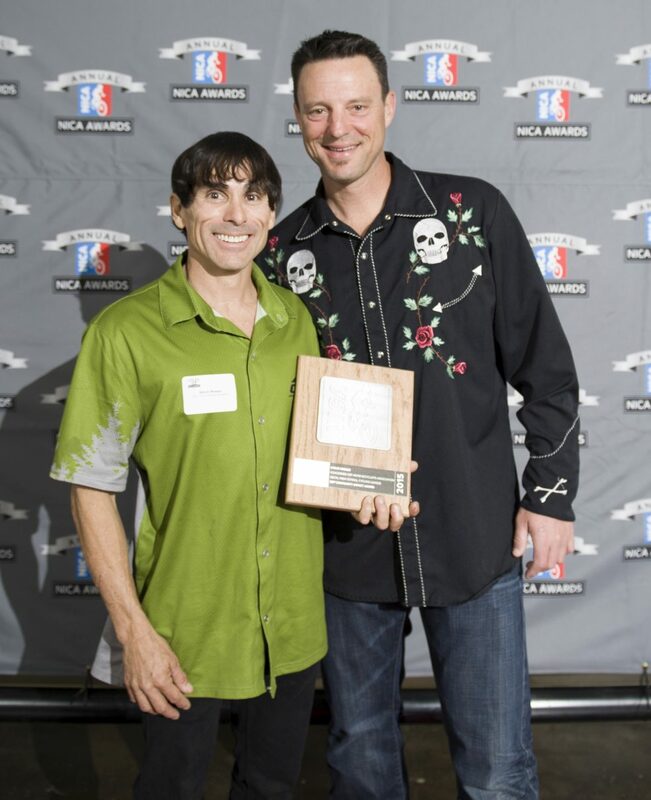 On January 30, 2016, Steve Messer was the honored recipient of the National Interscholastic Cycling Association’s Community Impact Award, sponsored by QBP. 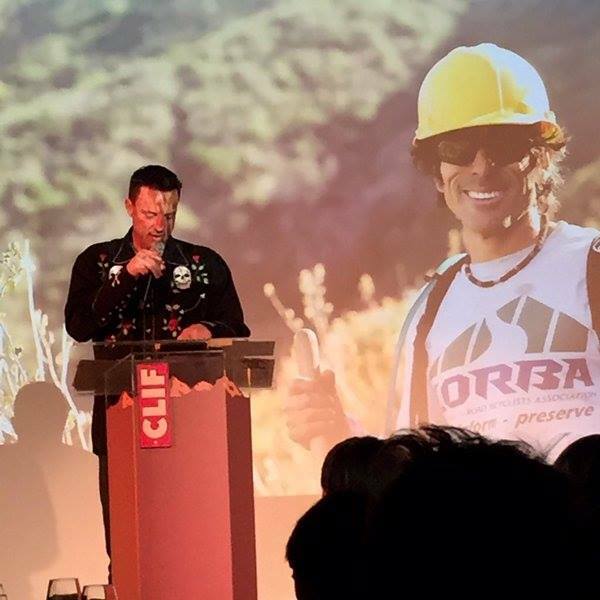 The award came as a complete surprise to CORBA’s President, and was equally unexpected by SoCal League director Matt Gunnell, with whom Steve and CORBA have work since the league’s infancy to support High School Mountain Biking and getting more kids on bikes. 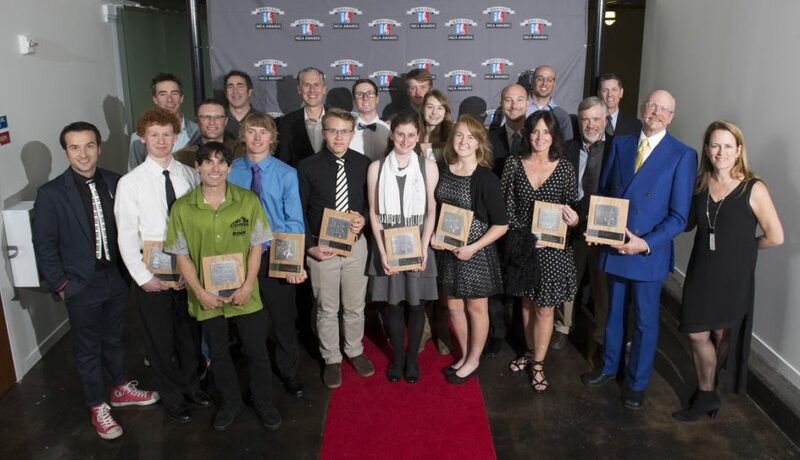 Sixteen outstanding participants in high school cycling leagues across the U.S. were honored at the 2015 National Interscholastic Cycling Association (NICA) Awards, held at Clif Bar & Company Headquarters, in Emeryville, California. 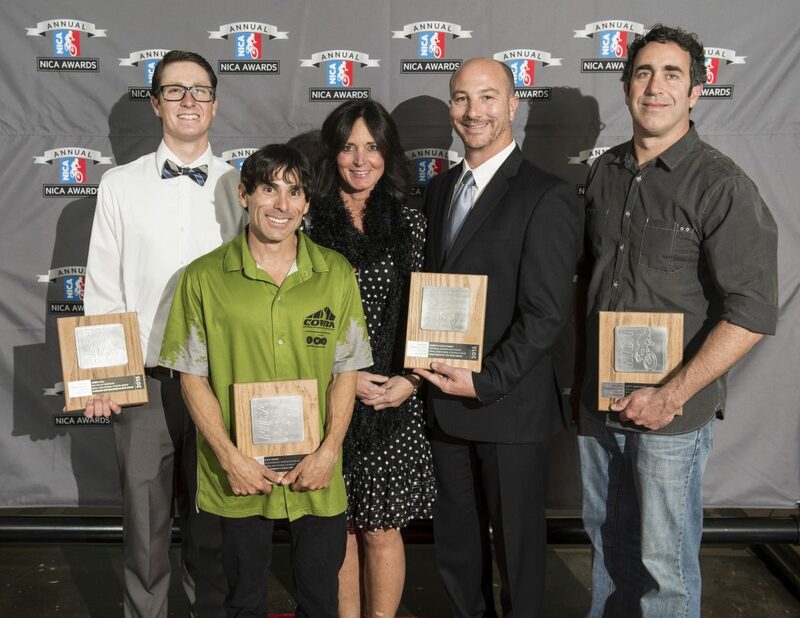 NICA presented awards in ten categories to individuals and organizations considered to be the most outstanding student-athletes, dedicated coaches, and the most supportive volunteers and sponsors to have helped advance the high school mountain biking movement over the past year. Photos of the entire event by by Karl Nielsen are available, and a short recap video will be posted soon. Steve has been involved since a young riding buddy introduced him to high school mountain biking as the League was beginning its second season in 2010. The SoCal league’s first season had proved the NorCal model could be replicated, and led to the formation of NICA. Steve has been involved in getting student-athletes and teams out doing trailwork, doing major Station Fire restoration projects, helping secure venues for high school league races, and calling on High School teams to use their voice in advocacy efforts. Steve was introduced by Matt Gunnell, director of the SoCal High School Cycling League, with whom Steve has worked, strategized, and even presented at the IMBA World Summit on the synergies between high school mountain biking and advocacy. I am very honored to present the Quality Bicycle Products Community Impact Award to Steve Messer. Reading from the nomination submission for this award, I quote…”Steve does it all. He’s an inspiration. He’s indefatigable. He’s designed and built courses, mentored coaches and students, helped with administration, helped launch new teams, established partnerships between teams and IMBA chapters to do trail work, and more. This is just a sketch of his contributions. His commitment to the SoCal League is immense, and he still makes time for CORBA/IMBA advocacy leadership as well as general road bike advocacy. With 1000 Steves, mountain bike opportunities would be improved a thousand times over. Sadly, there’s only one of him.” It is with great pleasure that I present this award to the one and only Steve Messer! What a privilege to be here at the Clif Bar headquarters surrounded by so many people dedicated to getting more kids on bikes. Thank you Matt for that introduction, and thank you so much NICA for this unexpected honor. There are many people I have to thank, especially the teams, coaches and volunteers of the SoCal League, and NICA for thier leadership. I know there were other equally-deserving nominees whose work is just as impactful and important as what I’ve been trying to accomplish. I’m just one of many, many mountain biking advocates around the country, striving to preserve and create great mountain biking experiences for our future generations. Just five months after 76 SoCal League student-athletes raced the inaugural SoCal finals in 2009, and NICA was just getting going, our local National Forest and most of our favorite trails were destroyed by the Station Fire and subsequent El Niño storms. We had this burgeoning high school sport, and most of the trails I had ridden for more than 25 years were suddenly closed or gone. The Mountain biking community was devastated. My motivation to restore the trails, and some forward-thinking coaches who were already doing trailwork, grew into a serendipitous partnership between CORBA and local high school teams that needed places to ride and train. Working with a half-dozen or more local high school teams and their coaches, boy scout troops, and other groups, we collectively restored most of the front-country trails within three years of the fire. We’re still working on restoration projects, and continue to have student-athletes joining us. In fact we have two teams coming out next weekend for trailwork. Not coincidentally, the recipient for the Distinguished Alumni Award, Jeremy Call, will be bringing out his team next weekend. It’s a win-win for the teams, for our public lands and for all trail users. Early on it became obvious to me that this was the next generation of land and trail stewards, advocates, and even land managers. Restoring trails and giving these student-athletes a place not only to ride and train, but to develop a deep connection to the mountains and the Forest as I have been fortunate enough to experience, is its own reward. The most gratifying aspect of all this is that I’m seeing the passion I have for trails and our public lands instilled in so many young riders. Having an increased presence of well-behaved, responsible trail users that NICA’s leagues are producing is really helping foster more responsible riding. The equestrian community in our area certainly has noticed Slomo Bro is helping spread the message that responsible riding is a form of advocacy. Within the high school mountain biking family, I’ve made some of my closest friends, my strongest supporters and allies, and feel a true community spirit. I’m awed to feel this trail love spreading throughout this community. Seeing the types of partnerships CORBA began to develop, now built upon and expanded as the nationwide Teen Trail Corps Initiative with IMBA and REI gives me great confidence in the future of our sport, our trails and the places we ride. Southern California was well represented at the Awards, with Scott Armstrong, the SoCal League’s Chief Course Marshall receiving the Clif Bar Volunteer Service Award, Coach Jeremy Call from Simi Composite team receiving the Camelbak Distinguished Alumni Award (and then bringing his team out for CORBA trailwork a week later! ), and coaches Robert and Kathy Parks of the Temescal Canyon High School receiving the SRAM Coach of the Year award. NICA leagues are now up and running in 19 states, with more coming online each year. There are now over 10,000 student-athletes participating in middle school and high school mountain biking races around the country. To learn more, visit http://SoCaldirt.org, or http://Nationalmtb.org. 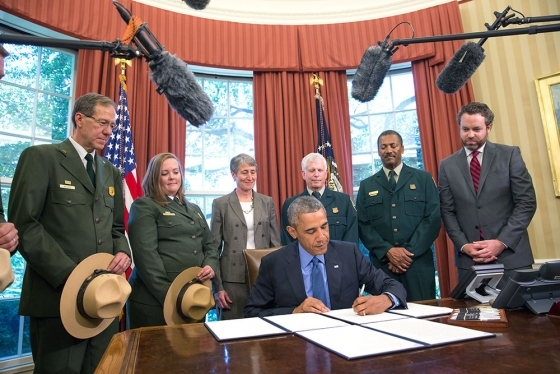 Yesterday, July 10, 2015, President Obama used his powers under the Antiquities act to declare three new National Monuments. There were another three declared in February 2015, and a further monument in December. That’s seven new National Monuments since we were given the San Gabriel Mountains National Monument on October 10, 2014. Clearly, this President has been on a roll when it comes to land protections. All of these new National Monuments will face the similar challenges of developing management plans that protect the resources of the monuments, but also allows for recreation and enjoyment of those resources. Each has their unique characteristics and each proclamation is written specifically for each monument. Of the most recently-declared monuments, one has no real biking opportunities. The Waco Mammoth National Monument was owned and operated as an archaeological dig site by the City of Waco, Texas. Under the new monument, the city of Waco will transfer the 108 acre site to the Federal Government, via the National Park Service, who will now coordinate with the City and with Baylor University to continue archaeological research and protect the site. 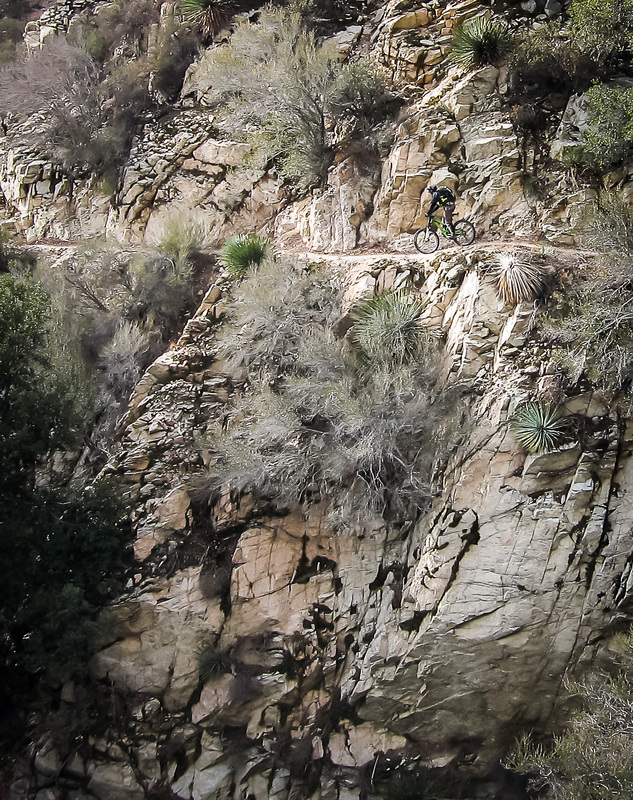 In both of the above examples, just as in our own San Gabriel Mountains National Monument, mountain bikes will be permitted only on roads and trails authorized for their use. One difference between the two, however, is that the Basin Range proclamation also explicitly prohibits the development of new motorized vehicle routes. No such restriction is placed on non-motorized trails used for mountain bikes or “mechanized” travel, but the development of a transportation plan is where the details will be hammered out. Similarly, our San Gabriel Mountains National Monument allows existing uses on existing trails, but also calls for the development of a transportation plan that will include trails, roads, and their respective use designations. Mountain bikers in all these areas should be thankful for the elevated protections these special places have now been given, but should also remain engaged as active trail advocates, trail stewards, and partners in the development of the management plans and transportation plans that will govern our future access to and enjoyment of these special landscapes and the trails by which we experience them.